Note: This article was first published on 13th October 2017. 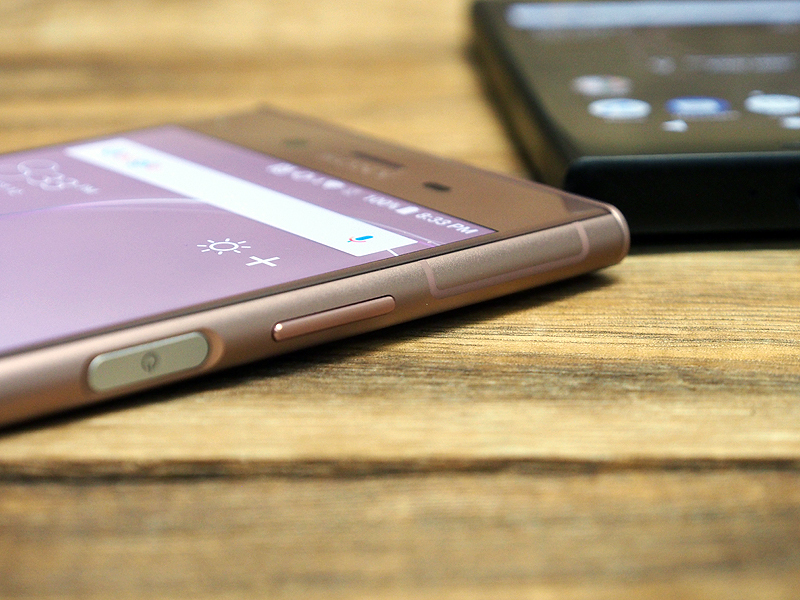 First announced at IFA 2017, the Sony Xperia XZ1 and XZ1 Compact are up against the second wave of flagship phones launching around this time of the year. The new phones aren't replacing the premium flagship, 4K HDR display Xperia XZ Premium (S$1,098) though. Instead, the 5.2-inch XZ1 (S$898) now rests as its current-gen flagship option, while the smaller, 4.6-inch XZ1 Compact (S$668) gets the ‘compact flagship’ tag. The trinity's positioning is distinctively different between each phone, because of their sizes and display resolutions. Positioning side, the Xperia XZ1 and XZ1 Compact are similar in other aspects: both phones use a flagship Qualcomm Snapdragon 835 processor, have IP-rated water resistance, along with hybrid SIM trays and microSD card support. Both phones also come with the Xperia XZ Premium’s Motion Eye feature (slow motion moments at 960FPS in videos) and Predictive Capture. While most of the key features in this duo are borrowed from Sony’s premium flagship model, their headlining software is a new take on Sony’s existing augmented reality (AR) attempts: 3D Creator. This AR ecosystem is designed as a communication tool, allowing the user to convert real-world objects into 3D models, which in turn are sent to other recipients. 3D Creator goes beyond text, image, and typical videos by adding AR depth into existing interactions. As with all AR developments, practicality in the real world is one of our concerns – even if it uses impressive tech. 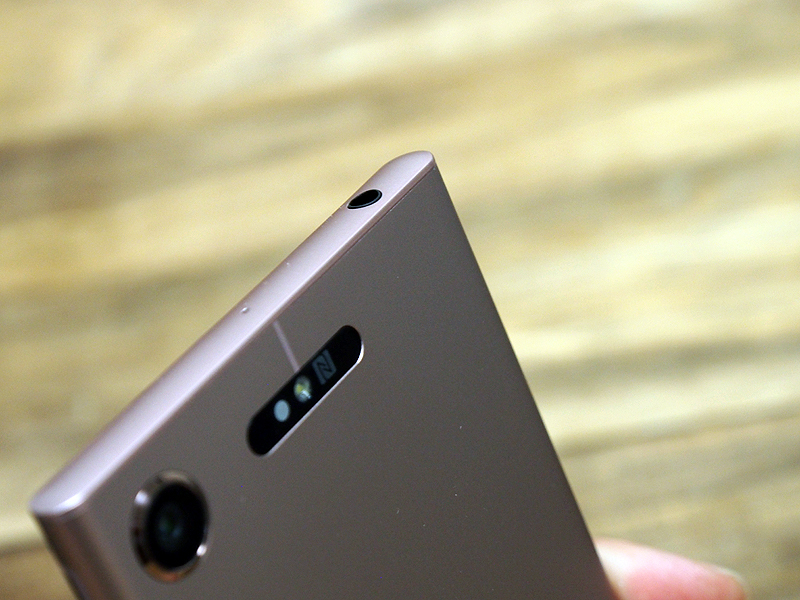 While it’s not immediately apparent, Sony has a fair bit going on with their latest phones. Given their unlikely asking prices, the similarities with the premium flagship model, and the decision to go with AR as a unique selling point, how will the two hold up in an already crazy competitive 'flagship' market? Sony has stuck to the same design formula for their latest releases. 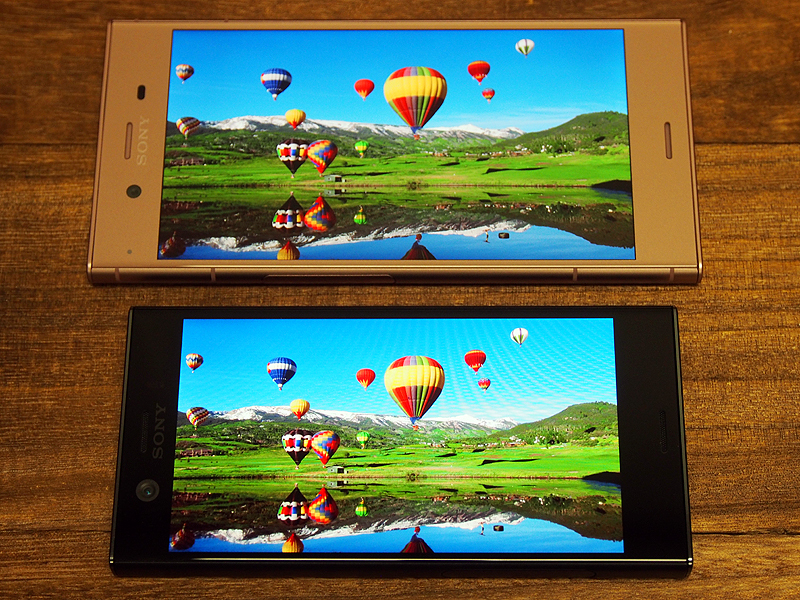 There’s virtually no aesthetic dissimilarity if you were to compare across various Sony flagship devices. 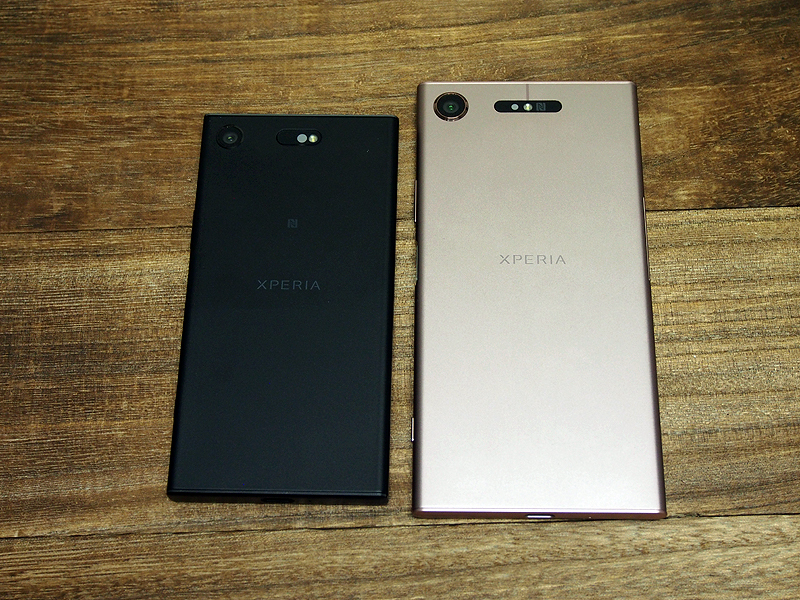 The front panel of the XZ1, XZ1 Compact, and the older XZ Premium and XZs are one of the same, save for the orientation of the XZ1 Compact's front-facing flash. As a whole, going back to the same monolithic Loop Design and aluminum frame is a good thing for Sony - it’s a practical look that’s appropriate for both work and play, and it’s well put together. 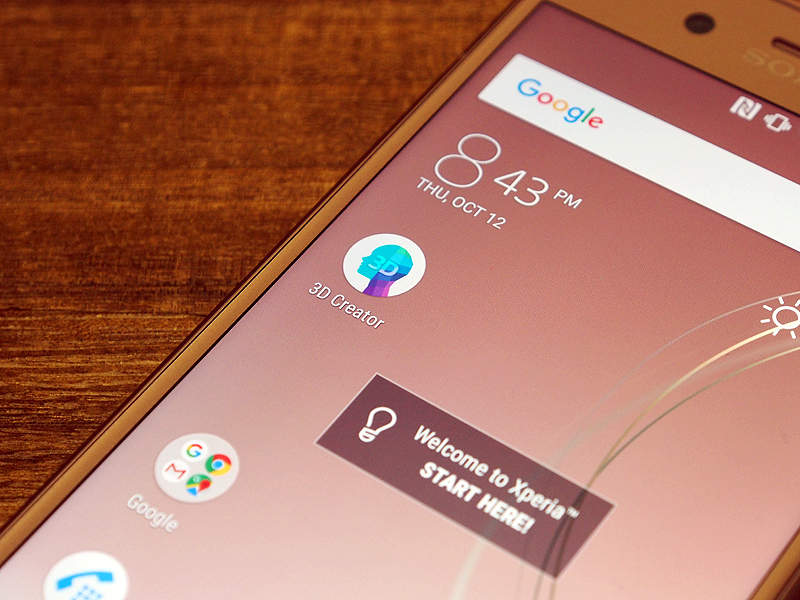 Most importantly, it’s a hallmark of Sony’s brand, as people can now recognize a Xperia handset in a single glance. The only problem is when a user wants to show off exactly which Xperia model he/she’s waving about. Sticking to a tried-and-tested look wouldn't work out for folks who like to make their upgrades known, and a physical redesign is one of the fastest ways to communicate that concept. 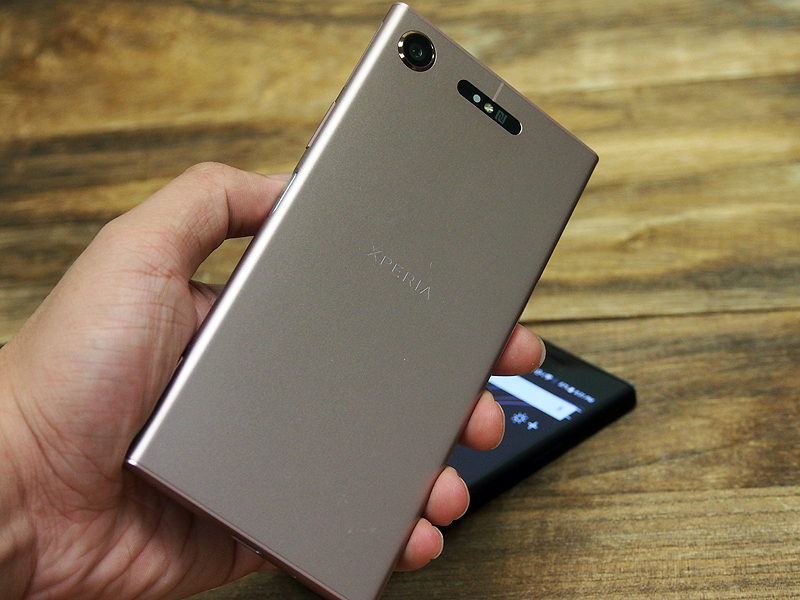 The XZ1 is a regular-sized smartphone, at 148 x 73 x 7.4mm. That’s almost the same size as a Xiaomi Mi 6, although it’s taller and wider by a few millimeters. 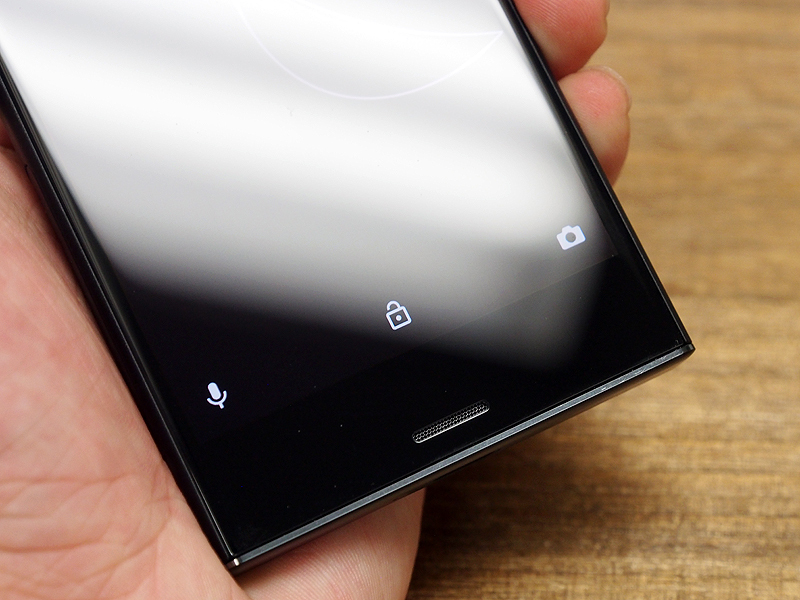 The handling isn’t varied from operating a typical Xperia device, with the same button placements (i.e., the fingerprint-sensing power/lock button and volume rockers on the right). It’s also well balanced for one-handed use. 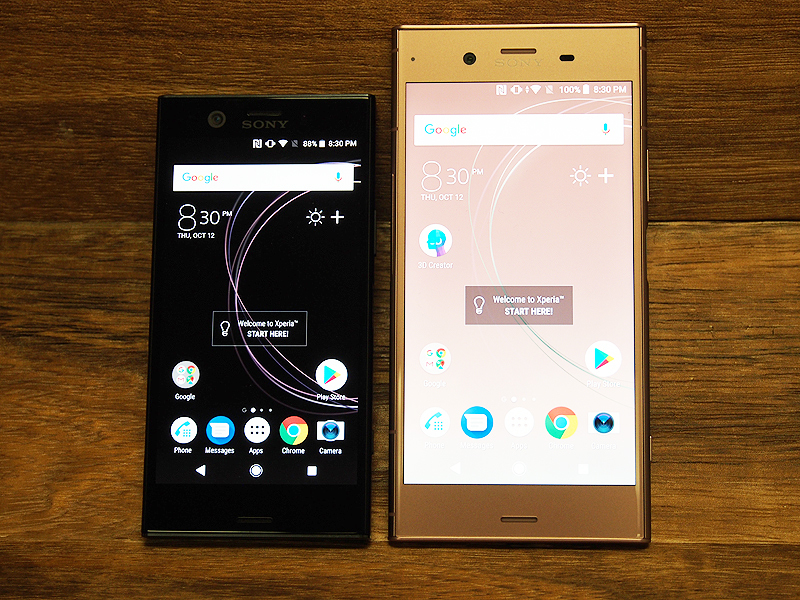 The onslaught of big, broad displays on phones I’ve reviewed of late indeed adjusted some expectations I have for the Xperia XZ1 Compact. Going back to small screen changes things up, since phones with larger displays offered luxury for viewing mindless content (social media and YouTube videos). The XZ1 Compact is still pleasant to use for day-to-day interactions – there’s no tangible interface difference when messaging people. The phone’s 129 x 65 x 9.3mm form factor also did not impact navigation when I was e-shopping or my news-reading experiences. Typing in itself is identical to typing with the larger XZ1, but choosing suggested words by the smart keyboard can be a challenge. Filling out my e-mail address, for example, would auto-suggest three options on the smart keyboard, and I had to draw the phone nearer while squinting to make sure that I picked the correct one. In essence, productivity won't take a nosedive when you move to a smaller phone screen like the XZ1 Compact, but it also doesn't measure up when you’re trying to derive pleasure from watching silly videos and playing P2W games. A bigger device simply feels less claustrophobic for those tasks. Both phones have an IP65/68-rated build, making them resistant against specific liquid sources like running taps. 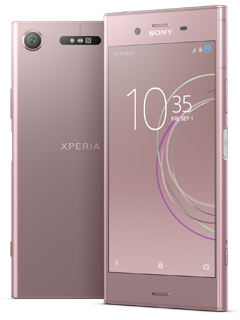 The Sony Xperia XZ1 comes with a 5.2-inch Full HD (1,920 x 1,080 pixels) HDR display, while the XZ1 Compact uses a 4.6-inch HD (1,280 x 720 pixels) display with no HDR support. Both phones use the same set of display software: Triluminos Display for mobile, X-Reality for mobile, and Dynamic Contrast Enhancer. 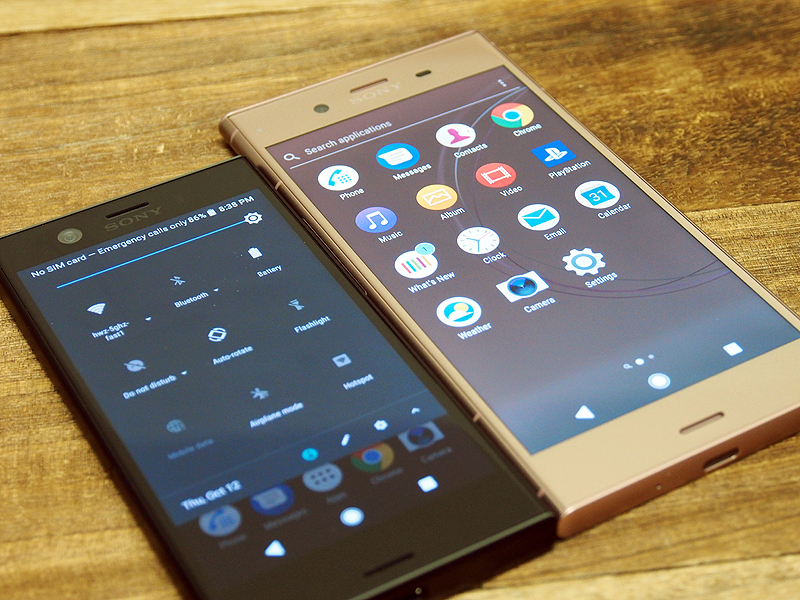 The Xperia XZ1’s display is noticeably warmer than Sony’s usual color calibration. Details are well-preserved, with attention paid to outlines and shading. Because of the color temperature, the color accuracy isn’t at its best – you can fix that by heading into the settings and trying out different presets. On the other hand, XZ1 Compact has the better color balance and temperature out of the box, but it also has a lower resolution display that resulted in less clarity than the XZ1. While it renders the test image just fine, it’s just not as sharp as the Xperia XZ1’s interpretation. Even so, both phones make full use of their display as they fill out the edges neatly. 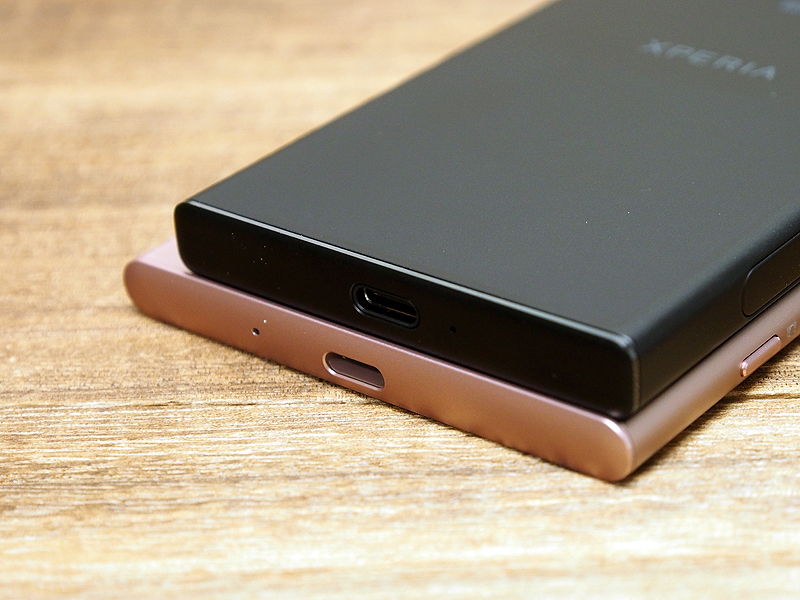 Besides their front-facing stereo speakers with “S-Force Front Surround” sound, both the Xperia XZ1 and XZ1 Compact have a 3.5mm headphone jack at the ‘head’ of the device. Wireless audio support comes in the form of Bluetooth 5.0. You get the typical Sony spread of audio support on both devices: Hi-Res Audio (LPCM, FLAC, ALAC, DSD), DSEE HX, LDAC, Digital Noise Canceling, Clear Audio+, and wireless Qualcomm aptX HD audio. 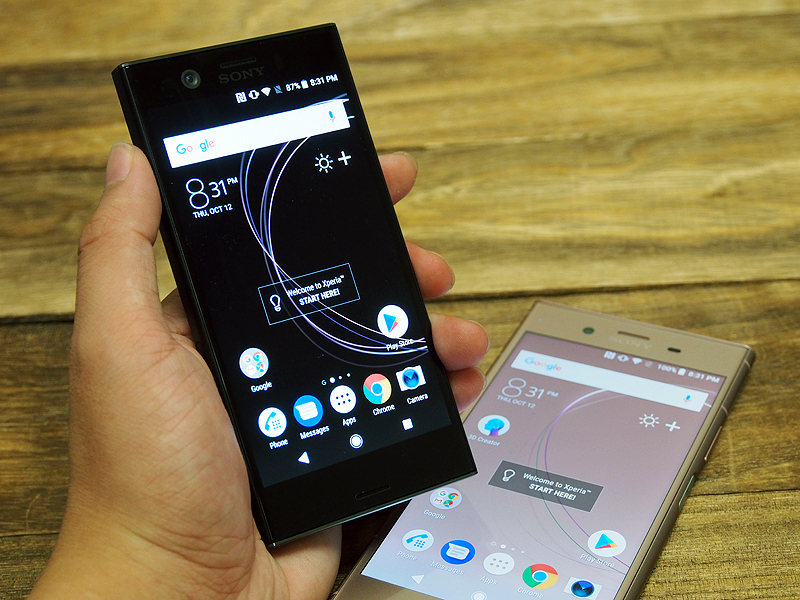 The Sony Xperia XZ1 and XZ1 Compact are among the first handsets in Singapore to ship with Android 8.0 OS (Oreo). The new operating system could be felt more strongly if Sony wasn't using their proprietary UI. Even then, Xperia UI is pleasant to use, even if it means having to stare at pre-loaded apps that complement the Sony ecosystem. Despite Oreo hiding under all that fluff, you can still do neat, power-user tricks like Notification Channels (pictured). Instead of a blanket option where you turn off or turn on all notifications from a single app, you can tell the device to only show notifications for specific processes. As seen above, you can turn off notifications for tweets that are "related to you", yet enable notifications only for direct messages that come sliding into your inbox. Each app’s Notification Channel depends on the support provided by the third-party app maker, so don’t fret if some apps are more customizable than others. Another Oreo feature is Notification Dots. 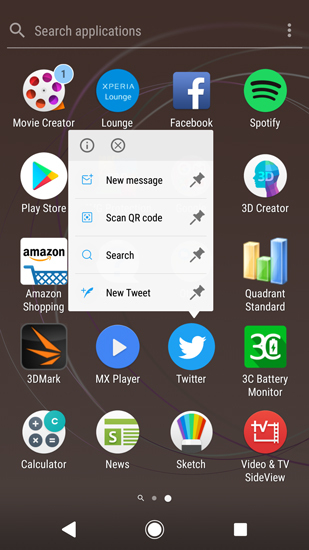 From the same menu, you can choose to enable Notification Dots for your preferred apps. It allows quick actions for certain apps (like our Twitter example above), and it also allows the user to interact with the latest notifications (if there are any). 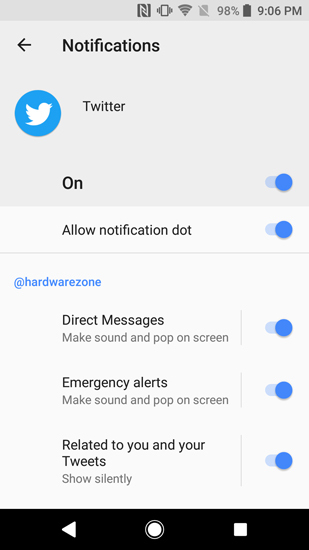 Notification Dots can also be customized from app to app, under Apps & Notifications in your Settings app. 3D Creator is Sony’s attempt at implementing augmented reality as a useful tool into our everyday lives, ranging from communication through interactive models, to creating unique model-like images. Implementing and using the 3D Creator for content comes in two steps: creating your scans, and applying them for real-world use. 3D Creator offers four Scan modes – Face Scan (where it only scans the visage of a person, up to 180°), Head Scan (for the whole head in 360°), Food Scan (because why not) and Freeform Scan (ideal for figurine-sized objects, with maximum dimensions capping off at a puppy). To scan any of the above, you need to choose the correct mode before letting the rear camera do its work around your chosen subject. 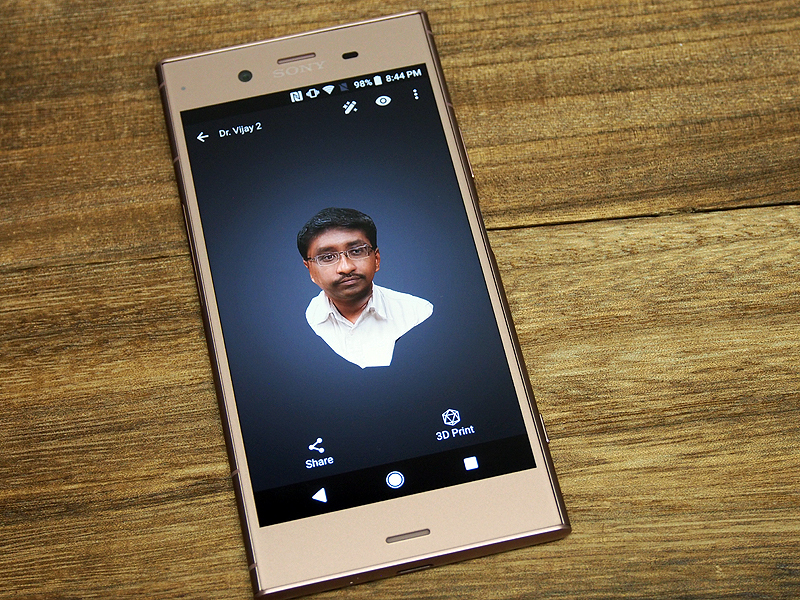 Simply point the rear camera, and move in a manner specified by 3D Creator. It takes approximately four to five minutes to get a proper Head Scan. The idea of doing Tai Chi to get a scanned model seems simple. However, it takes practice to have a near-flawless 3D scan. You will only know if the scan is satisfactory after the phone compiles the data, so it’s a good idea to keep trying until you get it right. 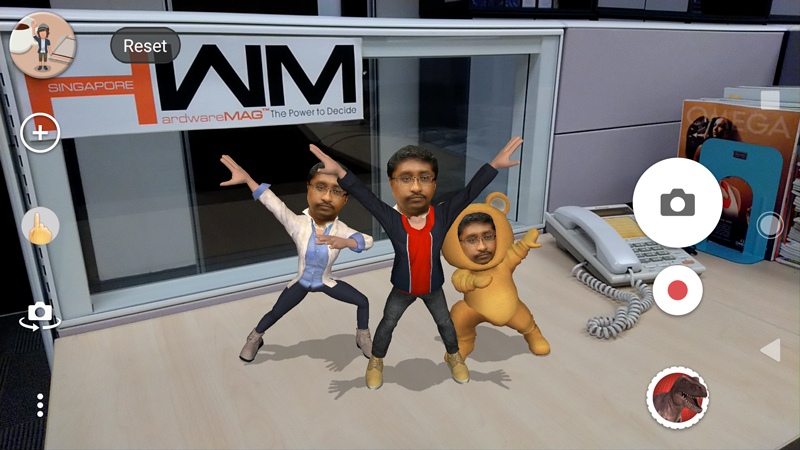 The scanned models are recorded as an .OBJ file, and they are logged in Sony’s proprietary 3D Gallery and Editor app. You’ll have to do multiple scans of the same person if you want a different permanent facial expression on the model. 3D scans can be uploaded onto social media, such as Facebook. Your masterpiece will be uploaded to Sony’s servers, and Sony will provide a URL for you to share on social media. Folks who click on your URL will be taken to Sony’s page, where they can observe the model by spinning it around. It’s a valid workaround for people who juggle multiple social media platforms that don’t necessarily support AR. Once you have sufficient 3D models in your library, you can use them as AR assets to make funny videos or images through your immediate environment. We believe it uses the same software that was first present in Sony’s AR dinosaur app, with 3D Creator’s as a more intimate version since it employs people you have interacted with. The 3D scans populate the screen, and they can be made to strike different poses or act out pre-program routines, which can then be photographed or recorded as a 720p video. 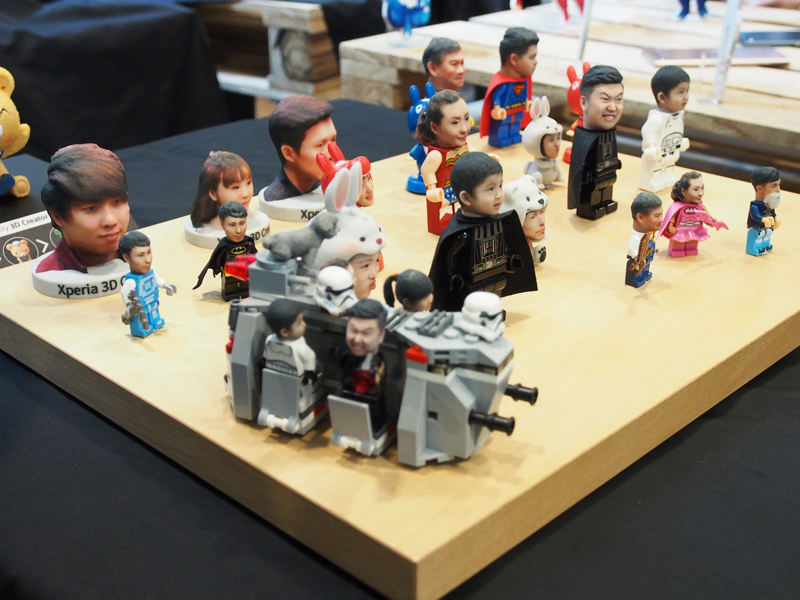 Sony has partnered with 3D-printing firms like Shapeways and Sculpteo to 3D-print and ship the 3D scans as figurines. It takes a minimum of two weeks and about US$50 for these companies to fulfill your orders. Customization, sizing, and other quirks can be adjusted within the 3D Creator app itself. Admittedly, the 3D Creator and its AR ecosystem don’t nearly excite us as much as the other features listed in this review. In our example, it merely presented an opportunity to create a caricature of my boss for some laughs, and nothing more. To begin with, 3D Creator doesn't have the same level practicality offered in, say, a USB Gen 3.1 port or Notifications Channel. Next, its options are somewhat limited in spite of Sony’s vision (to use AR as a useful mode of communication), since you’re looking at the creation of cheesy clips, or cheesier 3D figurines. Also, the scans have a maximum size of a puppy, so you can forget about getting anything useful – like an accurate 3D model of a nice table you saw at a furniture store. 3D Creator has potential as an AR communication tool, but it’s also impractical for now. 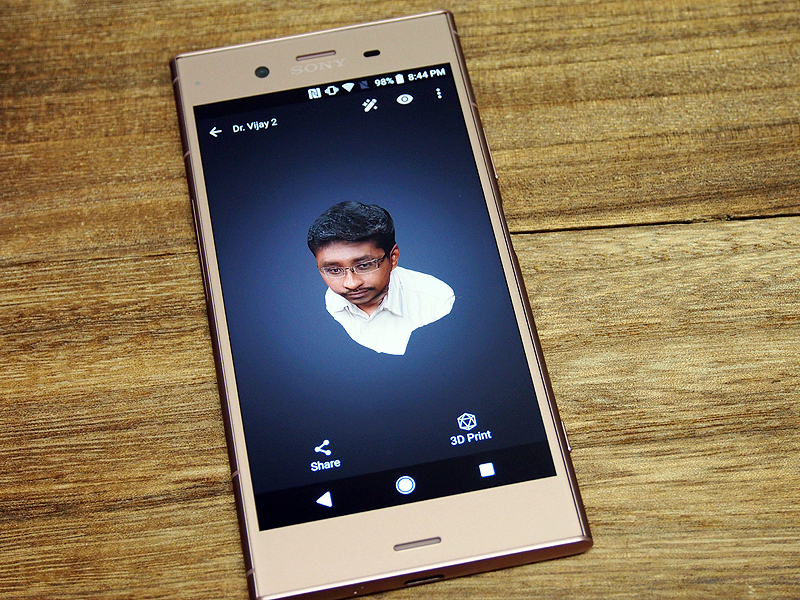 3D Creator is available on both Xperia XZ1 and XZ1 Compact. 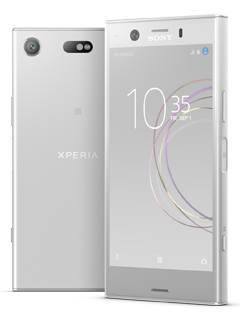 Not every modern flagship smartphone offers USB 3.1, but the Xperia XZ1 does. Here, you can find file transfers of up to 5Gbps when you plug the device into a compatible USB port. The XZ1 Compact also has a Type-C port, but its speed profile is USB 2.0 (which is more common across flagship smartphones, with a few exceptions). This rating allows the XZ1 Compact to transfer files at up to 480Mbps instead. That’s approximately a ten-fold difference between the two USB transfer speed profiles, but it only matters if you regularly move files in and out of the device. The Xperia XZ1 has two trays for your SIM and microSD cards. 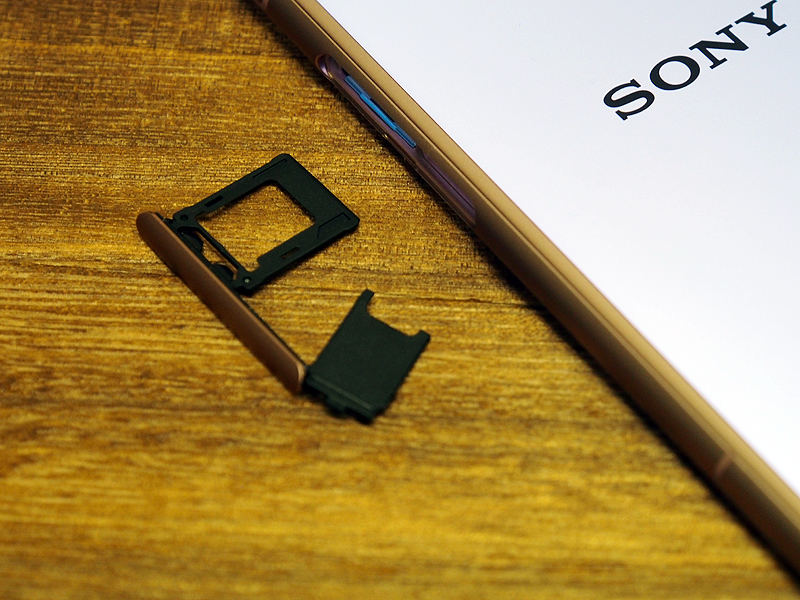 You can either insert two nano SIM cards in separate compartments (which means that you wouldn’t lose connection if you merely need to swap out one card), or you can place a microSD card if you don’t need the second SIM option. The independent SIM tray is the phone’s primary SIM slot as well. The Xperia XZ1 Compact has two trays too, but it only supports a single nano SIM and a single microSD card. 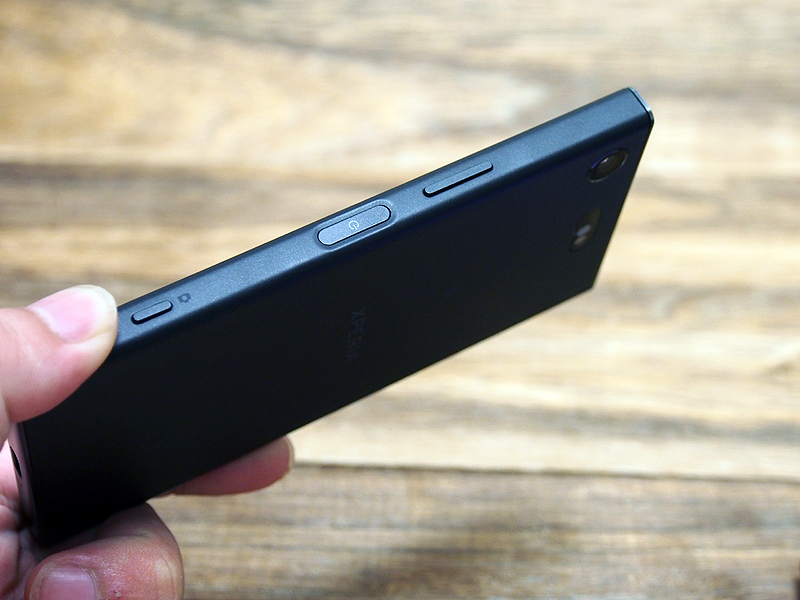 Sony's Xperia Compact models are traditionally single-SIM-only, and the trend continues on the XZ1 Compact.